"Very Prompt, On Time And Polite Explained Issue Very Clearly." "Arrived As Arranged. Obviously Knew What They Were Doing. Very Courteous And Polite." "Everything Advice ,Quality Work No Mess Polite And Professional"
"They Were Professional And Cleaned Before They Left, Very Courteous." 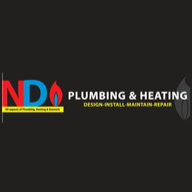 Need a Plumber in Carnforth?